Richard is a manager with strong experience in program and project management, contract management and finance. He has a Bachelor of Business (Management) and a Graduate Certificate in Business (Accounting). He is also a qualified Managing Successful Programs (MSP) Practitioner and is a CPA Associate. 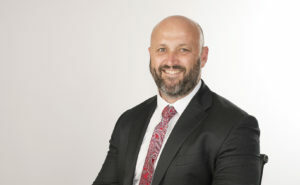 He has undertaken a number of senior roles in the public sector and for government owned corporations, including a number of senior contract and organisational transformation roles at TransLink. His technical areas of expertise includes financial analysis and reporting, contract management, program and project management and policy development, particularly within a public transport context. Managing Successful Program (MSP) organisational implementation – Established and defined a program using MSP principles within an organisation to ensure program outcomes were achieved. Contract negotiation and management of suppliers -Day to day responsibility for the negotiation of contractual changes and supplier management for a large, mission critical, technology supply and operational contract resulting in savings being achieved. Distribution network expansion – Managed the expansion of a card distribution network with a doubling of retail agents to 500 and an expansion of a further 40 vending machines across the network. Fare Path Strategy Implementation – Managed the implementation of a revised suite of ticketing products and complimentary fare structures that resulted in an increase to the customer take-up of the go card from 30% to 80%. Go Card System Enhancement Implementation – Managed the implementation of range of system enhancements designed to improve both the system functionality and the customer experience. An example includes the roll-out of the Auto Top-up function which required both system enhancements and a significant communication and marketing campaign.